Our most popular product is our 60-minute lunchtime seminars. We offer a wide range of subjects which Lisa and Emily really bring alive. We look at how food affects the way the body functions and include practical tips on how to make improvements to your diet. The perfect start to your wellness programme, we introduce macronutrients and how balancing your blood sugar is the key to great energy and concentration. A topical seminar that looks at four aspects of mental wellness – stress, brain health, gut bacteria and sleep – and how food and nutrition can help make us more mentally resilient. Our top tips for smart people – what are the key factors to get right in your diet, and how to make healthy choices when you are time poor. Based on our Brain Health Programme, we look at foods that support brain health, particularly fats and antioxidants. A fantastic kick-start to your weight loss. We explain what a low GL diet is, and how to eat to lose weight without ever feeling hungry. Learn how to modify your diet and lifestyle to minimise stress levels and boost your resilience. All about muscles, bone and joints, and how what you eat can reduce aches and pains and help prevent musculoskeletal disease. Popular in Autumn and Winter, this seminar looks at the link between diet and a healthy immune system, with a particular focus on plant nutrients and antioxidants. 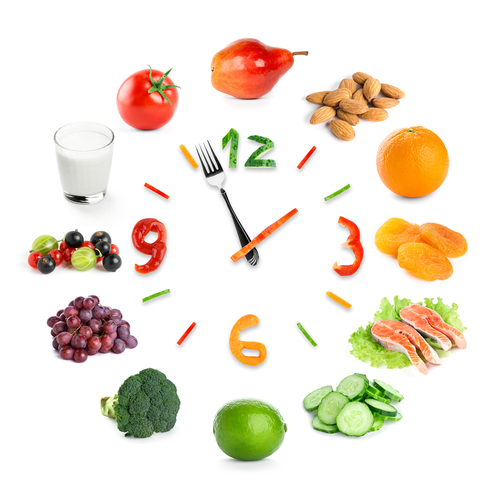 Learn how what you eat can help you turn back time, and reduce wrinkles, aches and pains and forgetfulness. Discover how to balance your hormones through diet and lifestyle and minimise menopausal symptoms such as hot flushes, night sweats, anxiety and joint pain. “A bad digestion is the root of all evil” said Hippocrates. And we agree! In this fascinating seminar we take you on a journey through the digestive system and learn what foods can promote good gut health (and those foods that can’t). Have years of stress taken their toll? In this seminar we explain the physiological impact of stress and the steps you can take to recover from burnout. This nutrition and lifestyle seminar covers the vital importance of good sleep to health, and provides a strategies for nutrition and sleep hygiene to promote restful sleep. Do you or your employees suffer from FOFO (Fear of Finding Out)? Men are much less likely to seek medical help than women, so in this seminar we look at the symptoms and nutritional strategies to support cardiovascular, prostate and mental health in men. Whatever stage of the female hormone journey you are in nutrition has a key role to play in keeping hormones balanced to reduce symptoms such as PMS, heavy or painful periods, skin breakouts and more. This seminar is designed for business people who like to keep fit, but are not sure what or when to eat to get the maximum performance from their training. We cover energy systems, digestion and hydration. In this seminar we talk through the major types of cardiovascular disease and reveal the dietary and lifestyle changes that you can adopt to minimise your risk and support great heart health. Who doesn’t want lustrous hair, strong nails and flawless skin? Learn which nutrients support the body in achieving these things and which foods to eat and avoid. We reveal the eight dietary habits that ensure great health, and suggest simple ways for you to adopt them and improve your wellbeing. The seminars are £450. Travel expenses are additional outside of the M25. Why not add a Tasting Table? We bring along food to match the theme of the seminar. Looking for a fun and educational break-out session for your management conference or team meetings? Our 90 minute Mindful Eating Workshop is for groups of no more than 12 people. During the session we cover the theory of good digestion and how mindful eating can help to reduce bloating, acid reflux and other digestive disorders. This is not a powerpoint presentation! The session is interactive, and includes breathing and mindful eating exercises. £650, travel expenses additional if you are outside of the M25. Do you have a full complement of staff, but find they are not reaching targets or getting all their work done? This could be due to reduced productivity and creativity in your workforce. Often poor nutrition and lifestyle choices are underlying contributing factors to this. In this series of seminars we look at how simple dietary changes can make a difference to productivity. The group of 3 seminars is £1,200. Travel expenses are additional outside of the M25. Call 07966 478974 to book. Every wondered why energy levels drop after lunch? Do you feel sleepy and unable to concentrate at certain times of the day? In this ﬁrst seminar we explore what affects our energy levels and take a look at macronutrient balance; we explain how to eat for better blood sugar control; and reveal the foods that give us great energy levels. You learn how good blood sugar control is the ﬁrst step to staying alert and wide awake throughout the working day. Seminar 2: A healthy brain: What foods are good for the brain? 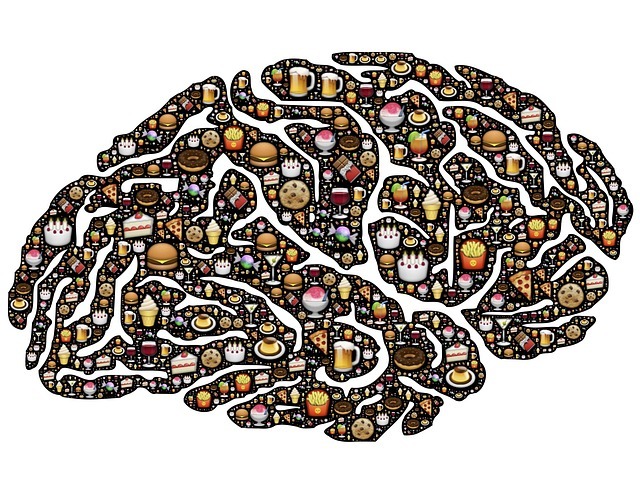 Can what we eat really impact our mental ability? Yes! In this seminar we discuss the nutrients that nourish your brain and the nervous system and help to keep you mentally sharp all day. We will help you understand how healthy fats, complex carbohydrates and antioxidants, amongst other key nutrients make a difference and how best to get them into your diet. In the third seminar of the series we look at how nutrition can support a healthy muscular-skeletal system. None of us functions well with back-ache or muscle pain, and choosing the right foods can help ease inﬂammation and prevent premature ageing of the muscles and bones. This seminar also includes tips for weight management and reducing the frequency of headaches. You probably know that the top 5 causes of short term absenteeism are minor illnesses such as colds and ﬂu; stress; neck strain; back pain and family responsibilities. We would hazard a guess that tummy bugs or IBS also features quite highly on the list of reasons for absence, but people may be embarrassed to discuss this. In response to this we have created a series of three talks aimed at empowering your employees to take better control of their health through diet and lifestyle, hopefully meaning that they will be less likely to need to take time off work and will enjoy better levels of health and wellbeing. 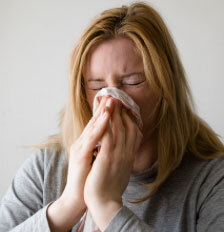 Picking up viruses such as colds and ﬂu is not inevitable. We will explore the numerous ways that you can boost your immune system so that these minor illnesses are a thing of the past. We explain the concept of the immune boosting diet and the importance of knowing your levels of Vitamin D. We will also cut through the confusion of supplements and suggest the key nutrients they should contain. In this talk we will explain how work stress can affect mental health and the physiological effects that it has on the body. We will share simple strategies for reducing stress and building resilience, including dietary and lifestyle recommendations. Stress is one of the major causes of absenteeism in the workplace and is the scourge of our fast paced, modern society. In this series of three talks we explore exactly what stress is and how it impacts health, often in unexpected ways. For those whose stress levels are particularly high we explore burnout and suggest ways in which attendees can regain control of their stress levels and bring back balance. In our third talk we examine sleep and its link to stress, and explain how vital restorative sleep is to combatting the effects of stress. In this introductory talk we will explain exactly what stress is and the physiological effects that it has on the body. We will share simple strategies for reducing stress, including dietary and lifestyle recommendations. We explain what burnout is (also known as Adrenal Fatigue) and the consequences of not addressing it. We will explore how to determine if you do have it, including an interactive questionnaire session and information on available testing options. We then go on to share nutritional strategies for reversing adrenal fatigue and helpful lifestyle strategies for nourishing the adrenal glands. Each group of 3 seminars is £1,200. Travel expenses are additional outside of the M25.